Here is another road that was closed in the past few days due to large amount of rainfall in the area. We will continue to have more rain throughout the weekend. Please be safe out there. 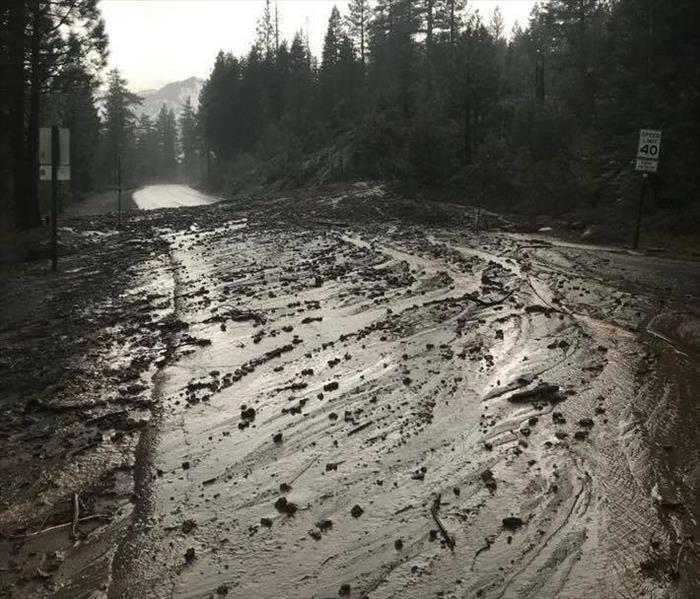 Here is a mud slide in Olympic Valley. It shut down the road overnight. We have had a series of strong storms in the area and that brings much needed rain. It unfortunately also brings in other issues as well. Please be safe out there. The photo is not from a job here locally. 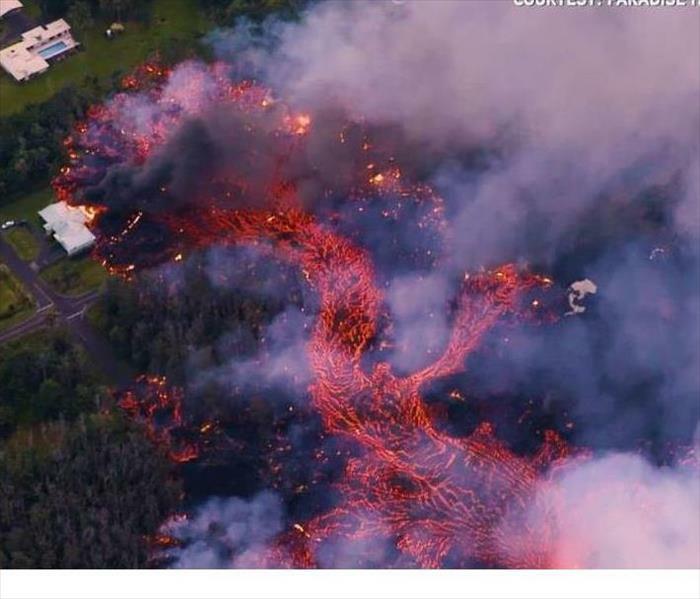 This is from the volcano eruption on Hawaii's Big Island. Our prayers are going out to all of the people who live near the area. For this job we were called for a water damage but we found another colorful surprise in the walls. 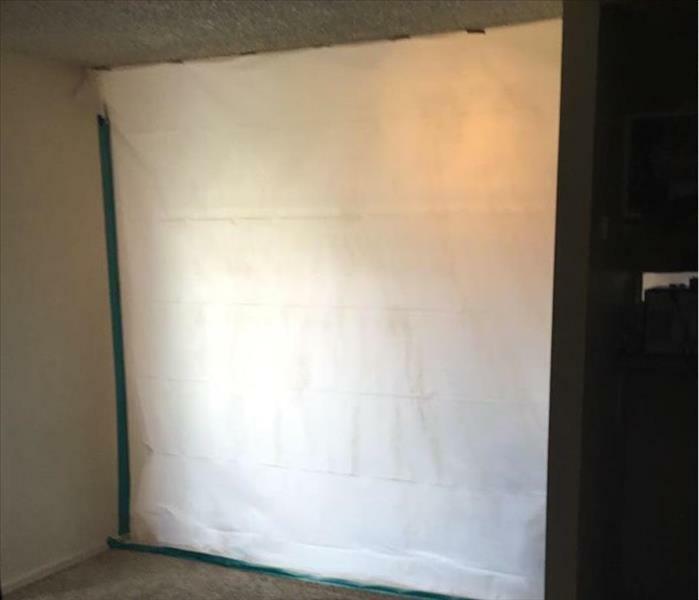 We built a containment, after the hygienist confirmed that we were dealing with mold. Thanks to the quick response we have been able to keep the damage to a minimum. This apartment had a pipe break over night. 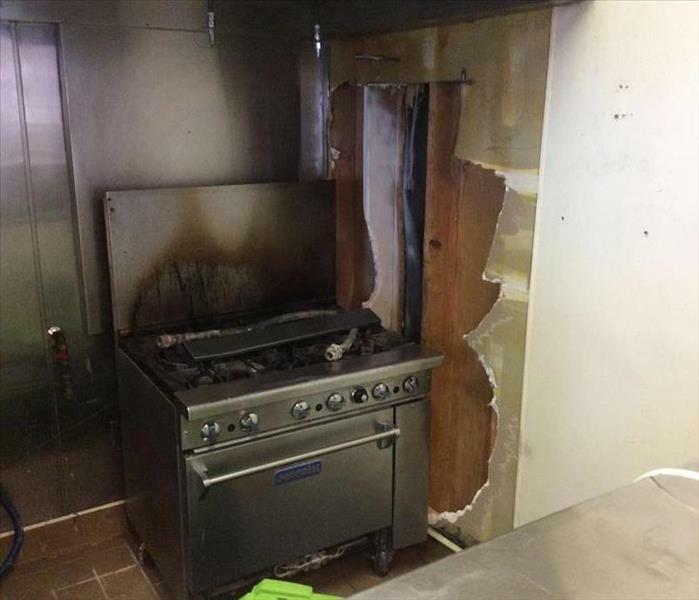 Thanks to our quick response we were able to minimize the damage. 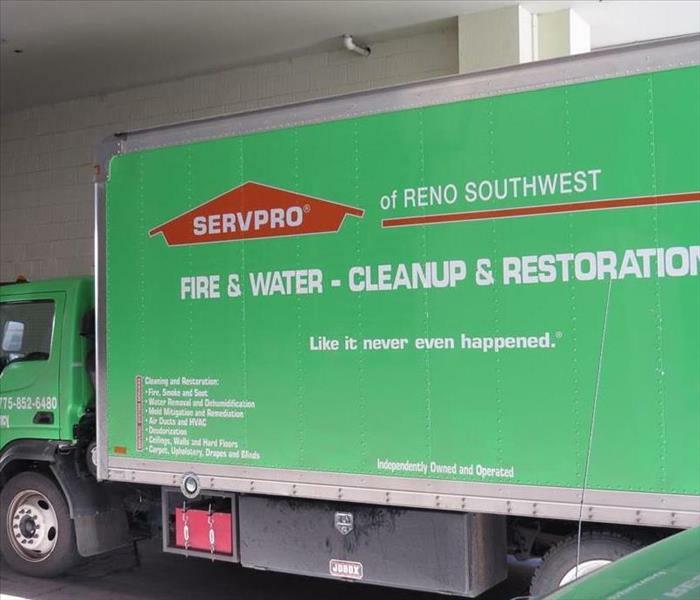 Great job to our office and our production teams at SERVPRO of Reno Southwest. This is the front of the building of a rain storm loss. They had a roof leak for some time that just went unnoticed. We were able to take care of the damage before the next rain storms moved into the area. Great job Rob!!! This is what we found when we arrived to an apartment complex to find that they have had a roof leak for some time. 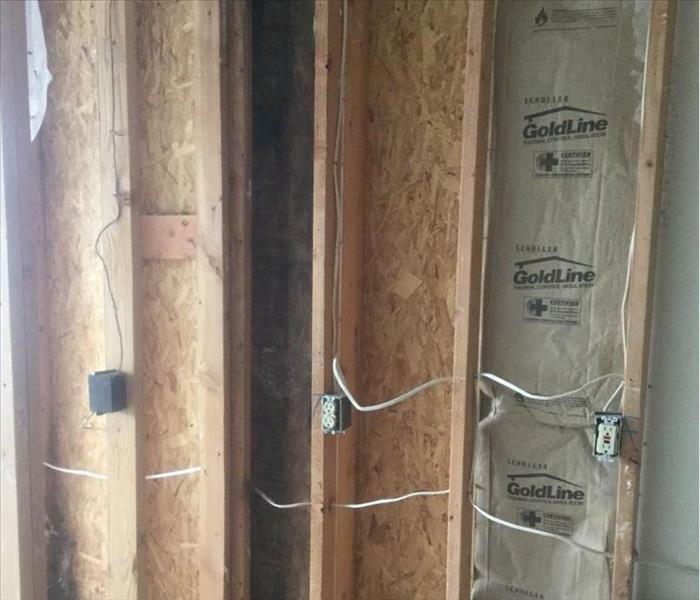 We had to remove all of the drywall and found that they have been having a leaky roof for quite some time. 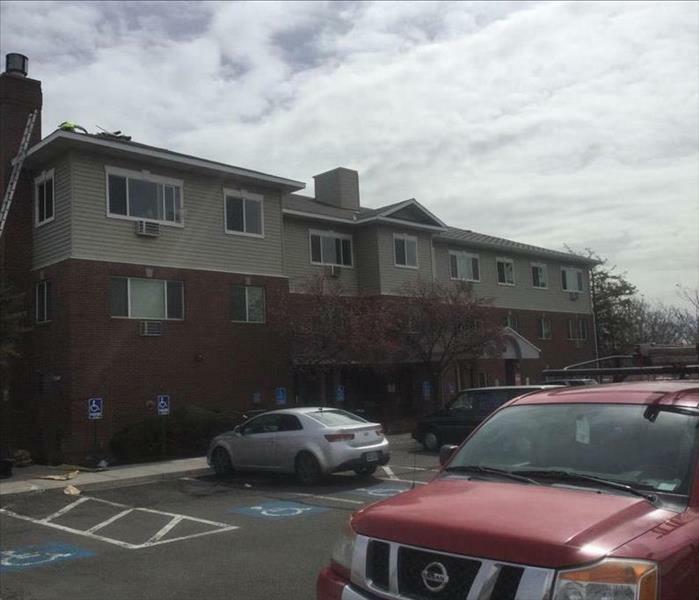 This apartment complex had a large hole in their roof and had been having a leak for some time. 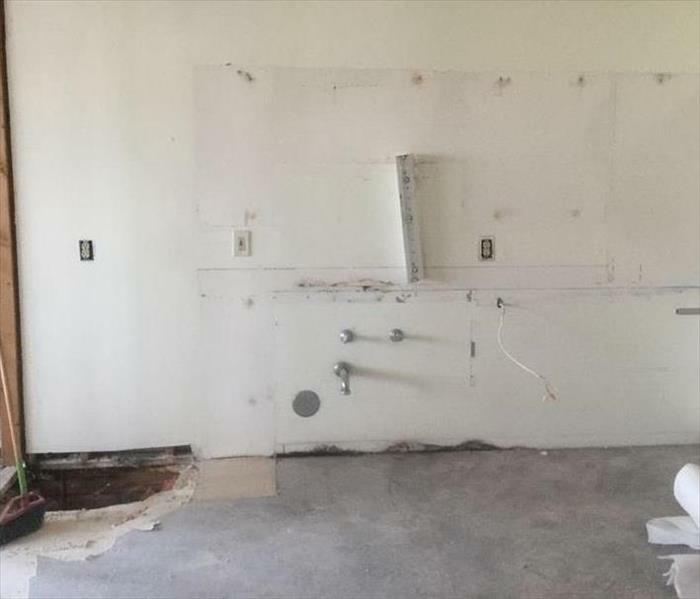 Robert and his team did an amazing job in removing the damaged walls, cabinets, and sink. This is a great example of what could happen if we do not dry properly. This home owner did not allow us to dry it properly. Another solution would have been to remove it but now it has to be removed because it is warped beyond repair. 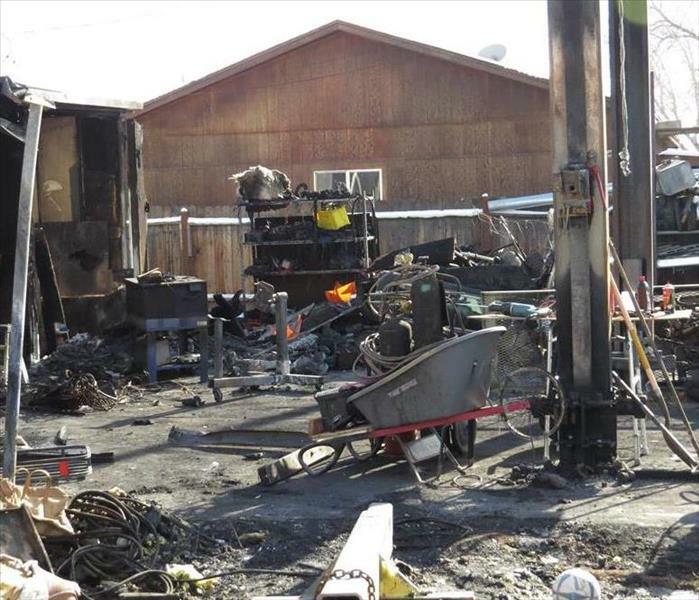 Our techs did an amazing job in responding to this job. We were able to save the carpet in this home. Great job to our office and production staff. Thanks for making it "Like it never even happened." This is from NHP. Please drive carefully. Many of our highways are extremely slick and snow covered this morning. Active chain/snow tire restrictions are in effect for most highways. If you must travel, use extreme caution. Our Troopers are currently handling numerous weather related calls for service. Please SLOW DOWN! Great job Gayle. I know she came back to the office with some very useful info. 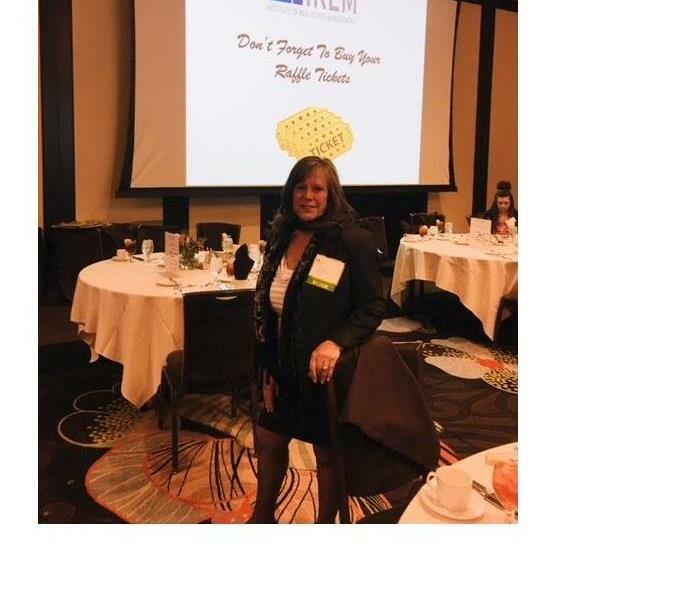 She is out there making the connections with the decision makers in the commercial property management industry. 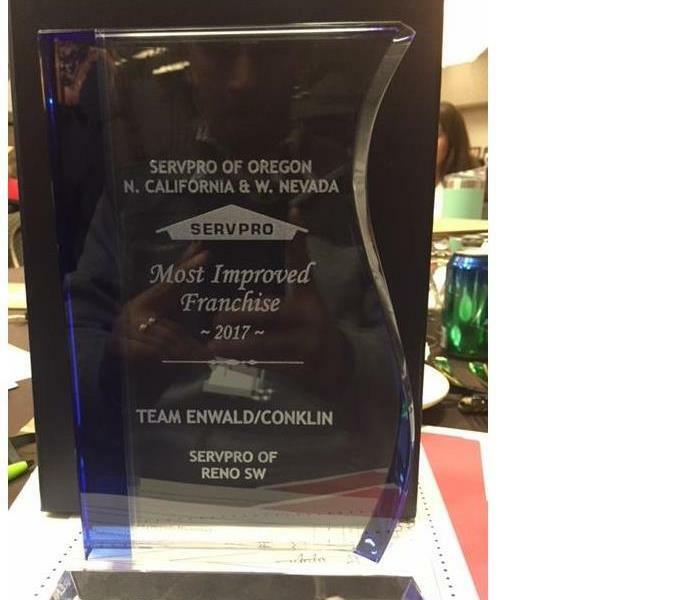 This is to congratulate our office, production and marketing staff on the amazing improvement. 2017 was an amazing year for all of us. Let's keep the momentum going into 2018. Thanks again to all of our staff for such an amazing job!!!!! We are proud of every one. 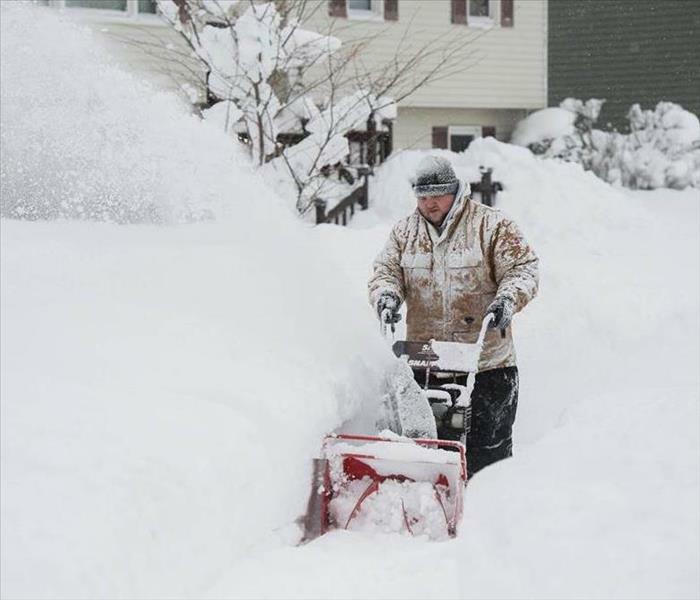 This picture was taken in Revere, Massachusetts. 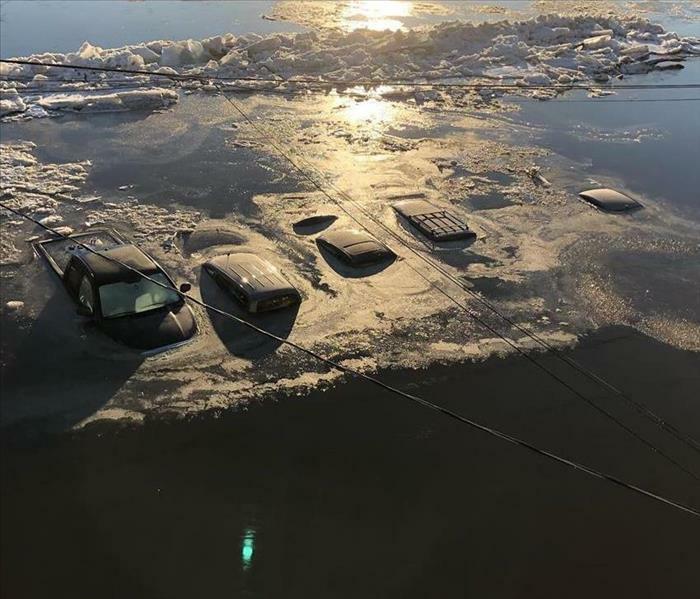 They had severe flooding and then the temperatures dropped down to negative 1 and with wind chill in certain areas it was negative 35. 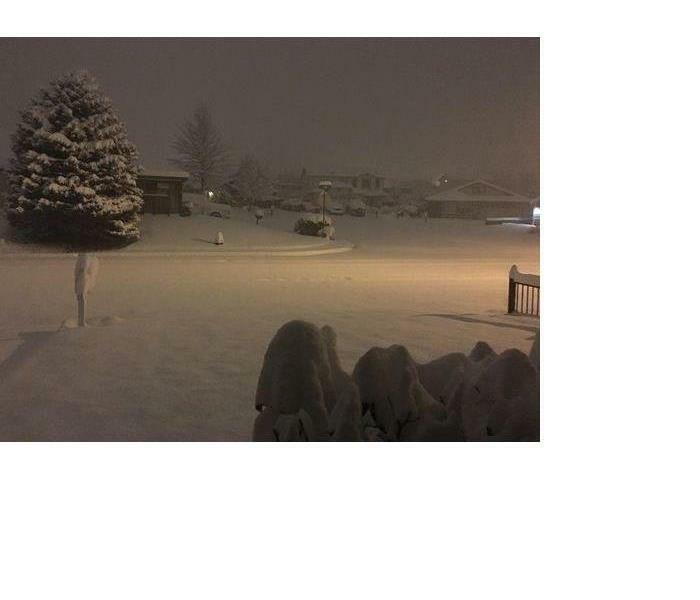 This is another example of how our area looked like last year. This was a fun time for the kids to have this much snow but for home owners it created problems because of the snow melt and flooding around the Truckee river. 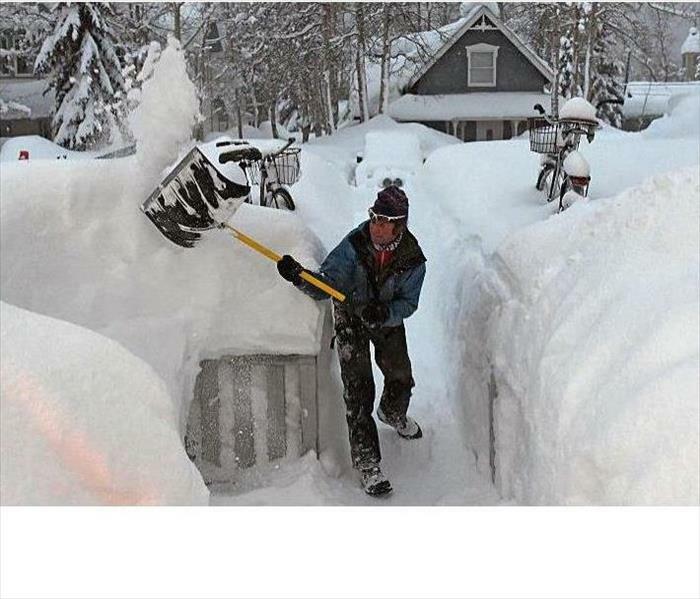 This type of snow is what we had in our region last winter from 2016-2017. This winter we have experienced a lighter winter season. Lets be appreciative of what we get the rest of this winter season. The washing machine had been leaking water for some time now. 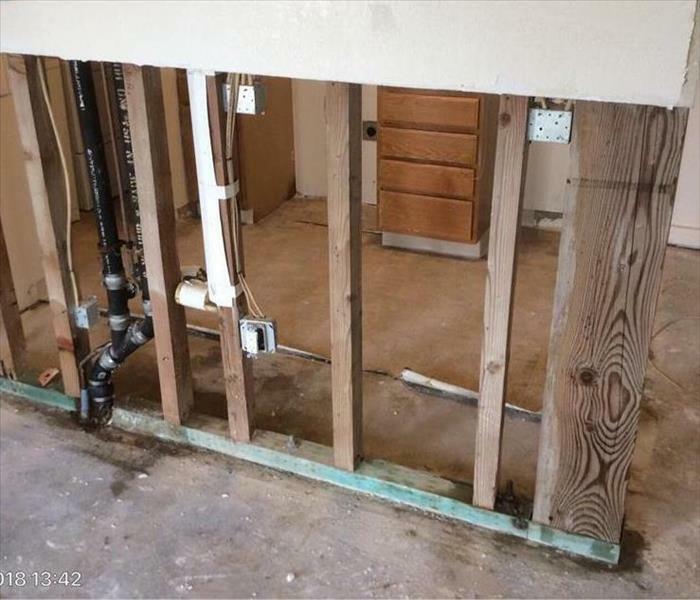 We arrived to clean up a water damage but we found more behind the walls and in the bath rooms next to laundry room. They had mold in the studs and inside the wall cavity. Our staff was able to get to it quickly before it spread any further. 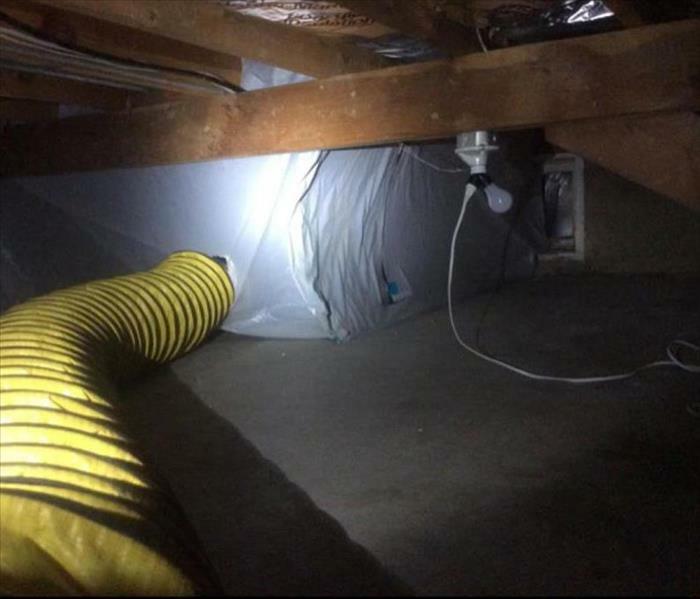 This is a great example of a large containment in a crawl space. Our production staff did an amazing job. 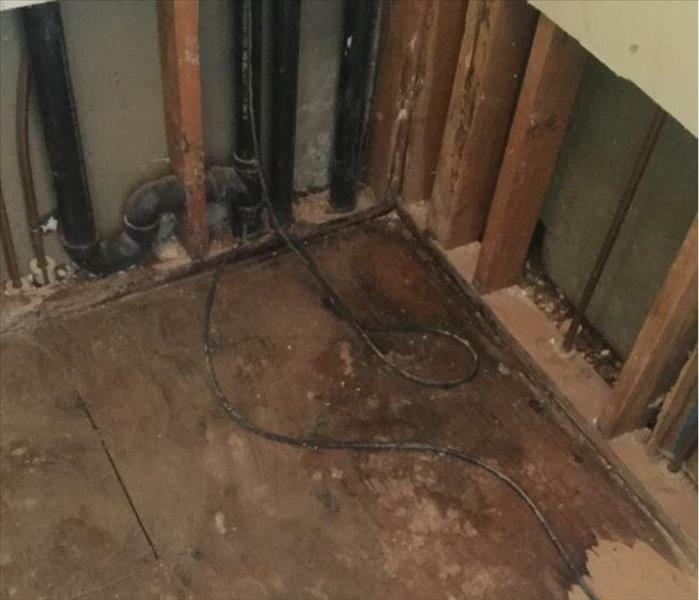 The home owner was very happy that we were able to get to their water loss quickly. 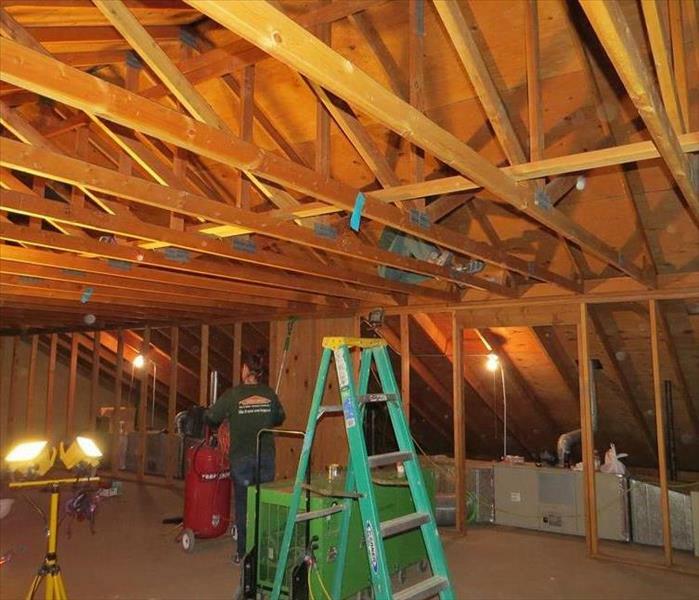 They were really ecstatic that we were able to remove their mold growth in their crawl space as well. 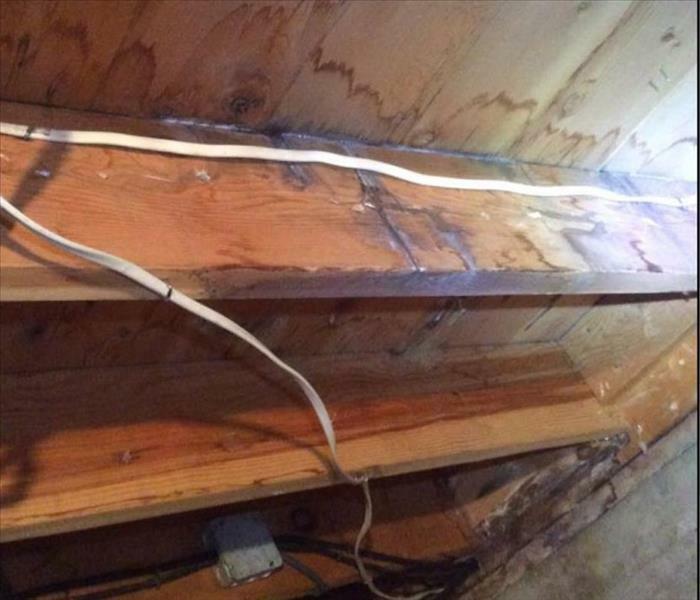 This home owner called us for a simple water damage but it turned out that they had more growing in the crawl space. We were able to mitigate their loss quickly so mold would not spread to other parts of the crawl space. This was a cool sight! Hopefully everybody was able to enjoy it for a little while. Here is a story about the moon. The moon put on a rare cosmic show Wednesday: a red blue moon, super big and super bright. It’s the first time in 35 years a blue moon has synced up with a supermoon and a total lunar eclipse, or blood moon because of its red hue. 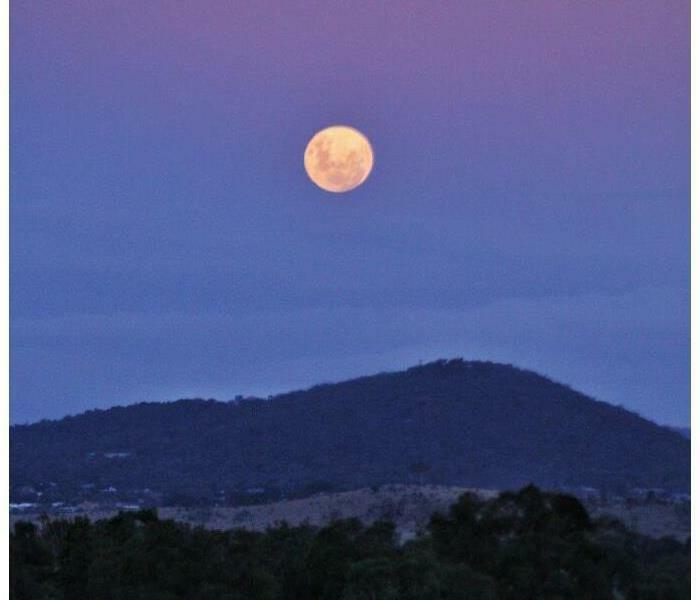 The second full moon in a calendar month is a blue moon. This one also happened to be an especially close and bright moon, or supermoon. Add a total eclipse, known as a blood moon for its red tint, and it was a lunar showstopper. This home owner found a colorful friend behind their wall paper. We managed to mitigate the problem before it spread. 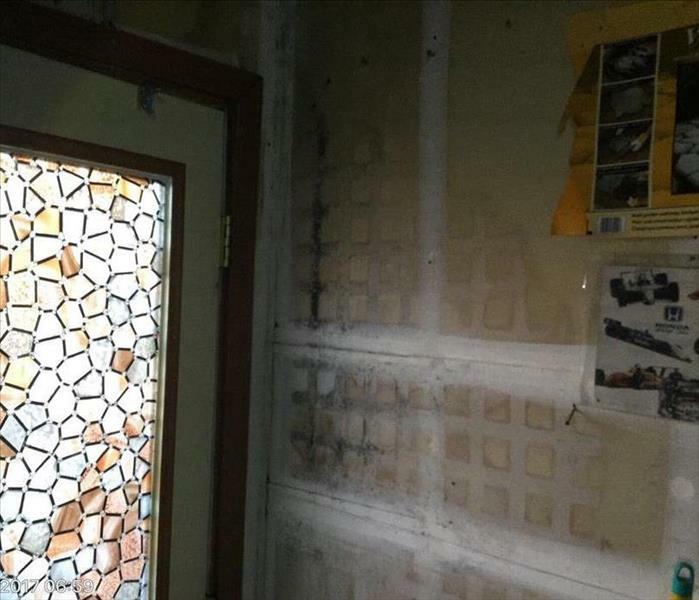 The owners were forced to remove their wall paper when they had a roof leak. Once they opened the wall they were surprised to find more discoloration. We took of their problem and made it "Like it never even happened". 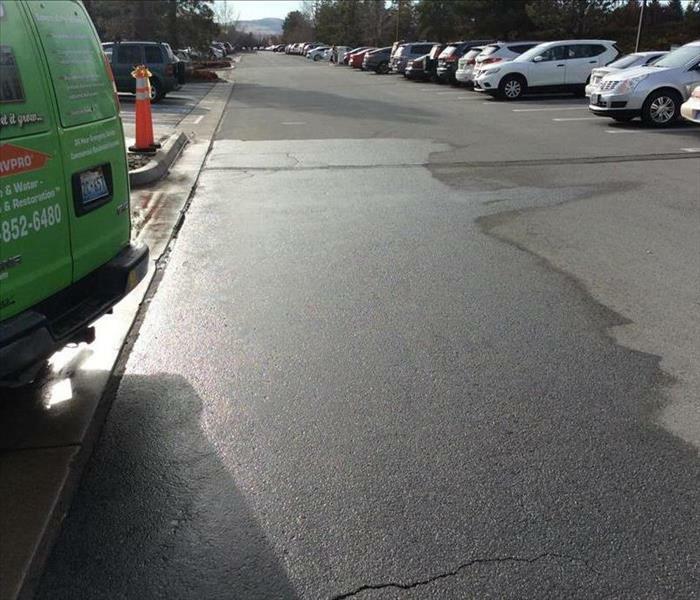 Thanks to our quick response our crew was able to remove four to six inches of water at a local storage facility. 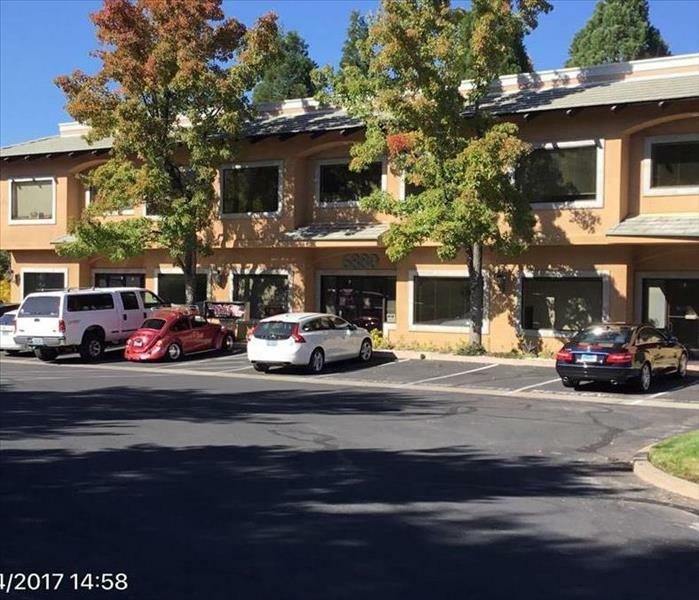 The owners of the business were grateful because they had millions of dollars of home owner's personal belongings in their units. Great Job!!! Thanks to our City of Sparks Fire Department for responding quickly to a fire of a vacant building. This clubhouse has been empty for few years. All around it is dry cheat grass and a large amount of homes. They responded quickly. Great job!!!! 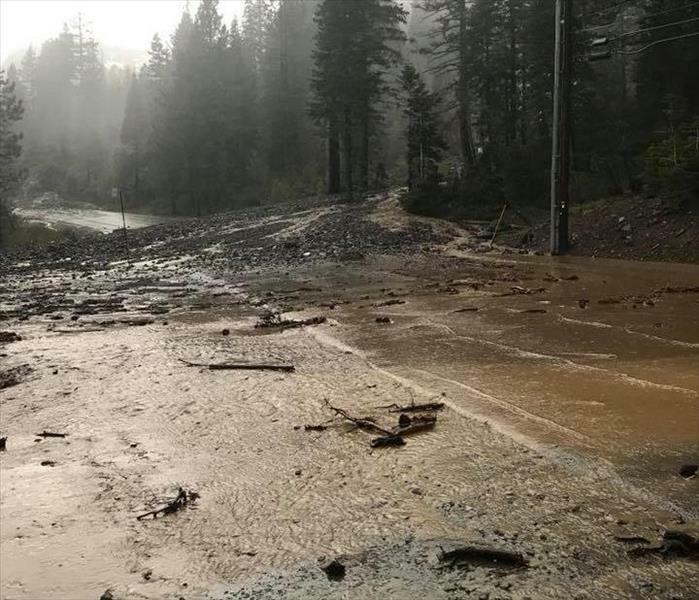 This is our Truckee river during the last flood. As you can see in the photo that the water level has reached the bridge that crosses downtown. 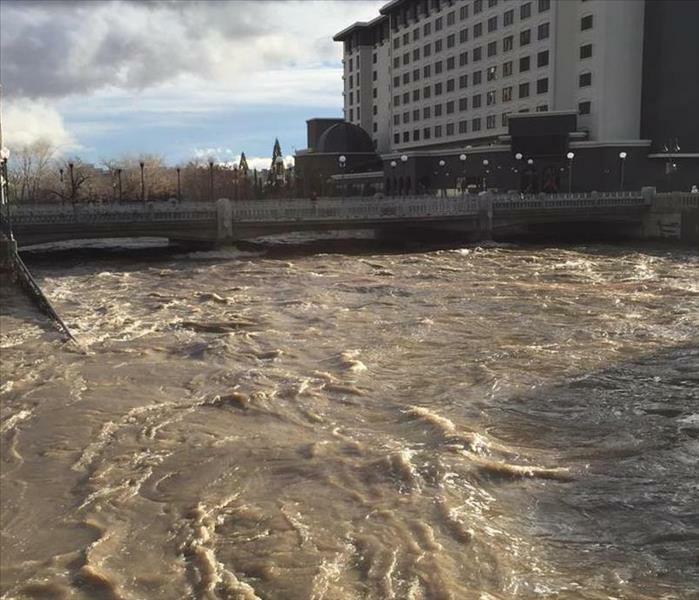 We are very fortunate that our downtown did not flood but many areas in Sparks and West Reno did flood. Glad our staff was able to it "Like it never even happened." Many thanks to our office and production staff for all of the great work. This large casino in Reno had water coming in thru the ceiling and had been running from the 3rd floor. They had to close down their restaurant until we were able to completely dry out the area. This is one of our techs on our commercial water extractor, "the Rover." Great job on using our tools at our disposal. This a loss that we had during the last freeze. 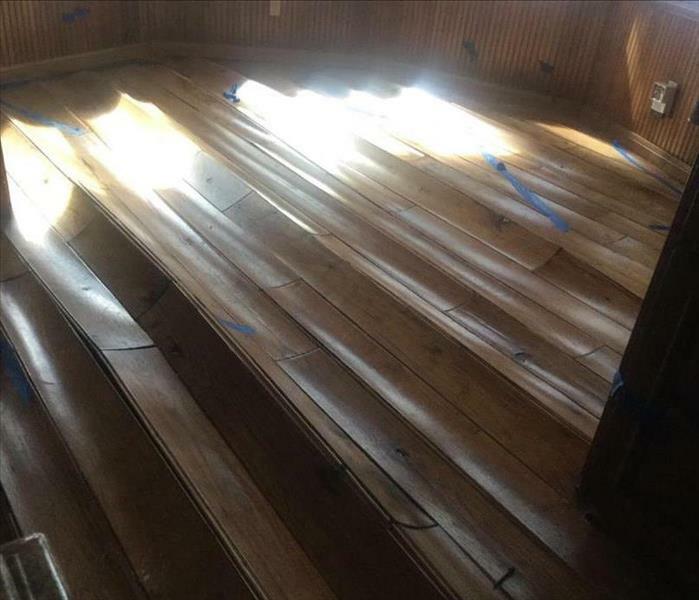 This home owner came to his vacation home and found a lovely surprise. 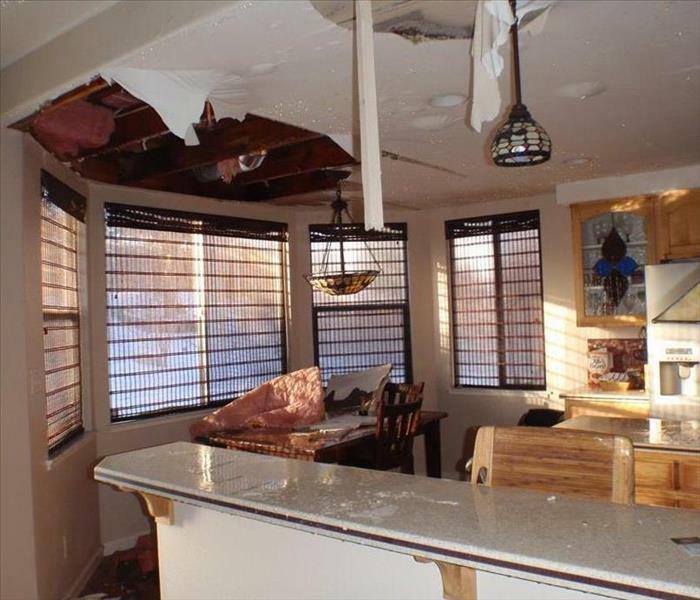 They had ice damns built up on the outside of their home and found that the pipes had burst inside the home. 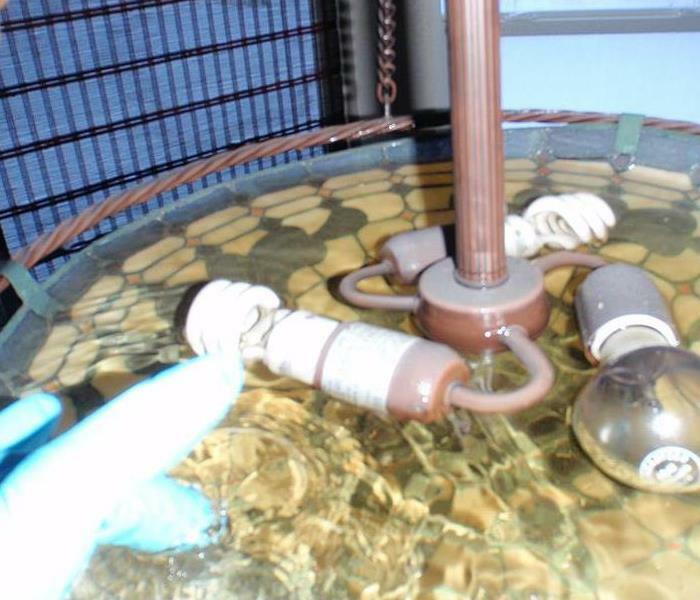 The water was coming from the upstairs and had been running for at least a week. Luckily we made it "Like it never even happened." This a large loss. This fire started in the attic and spread to all of the rest of the units. 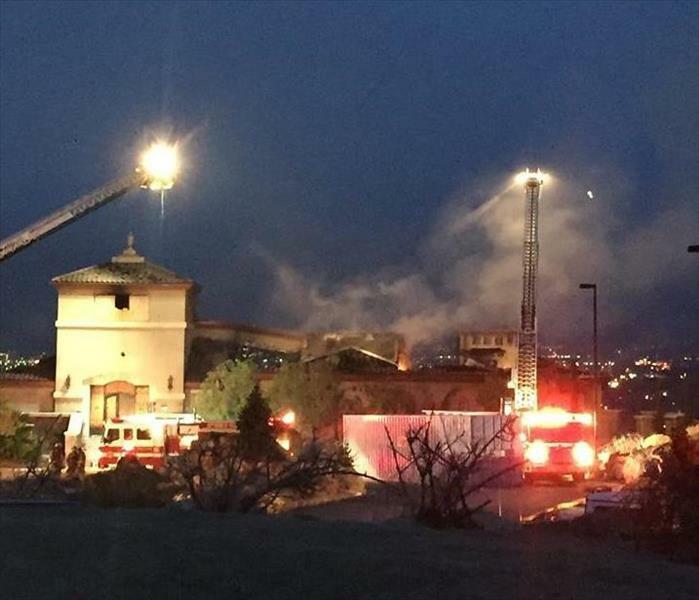 This fire closed at least 7 dentist offices. We worked hard to try to get the offices back in business. The longer they remain closed the more time it costs to regain any potential lost business. We had an interesting time trying to get equipment up to the ski lodge. This local ski resort had a small fire and the only way for us to get up to the damaged area was via the gondola. Dave did not mind due to fact that he could enjoy the views. The resort was pleased with our flexibility. Thanks to all of our staff for the great work. This commercial property manger has called many times in the last few months. She has had a few pipe breaks and the office staff comes into their building with large amounts of water. Luckily we were able to get there in time to have the business only lose a day of work. Our goal is to get them back to work ASAP. Thanks to Jose, Nick and David we have cleaned up feces from this parking lot 3 different times. Somebody is dropping off at least thirty grocery bags filled with bio-hazard waste and leaving them in front of buildings to protest. Thanks to our great staff we cleaned it up before too many people tracked any matter into their office building. We loaned out our dump truck to a local resident who had a fire at their home. They did not have insurance so we allowed them to use our truck to remove their charred belongings from their home. 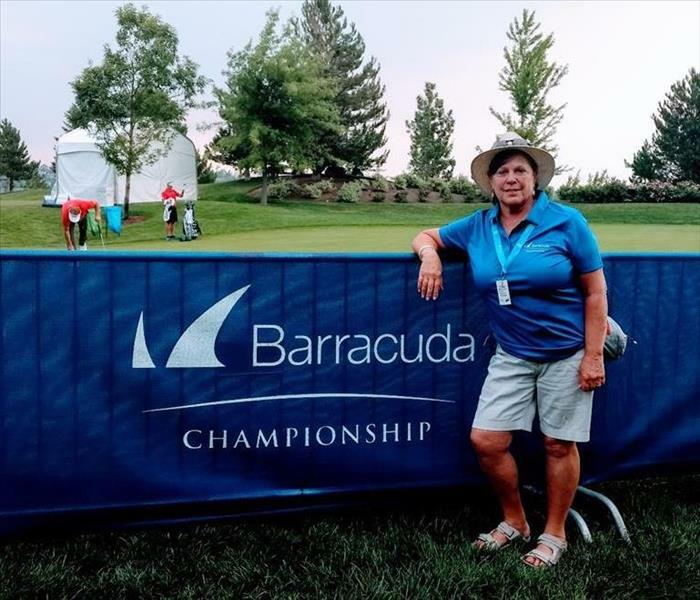 This is one of our best employees volunteering at the PGA Tour event the Barracuda Championship. Gayle loved working at the event. The Barracuda Championship had about 40,000 people attend over the 4 day event. Great Job guys!!! 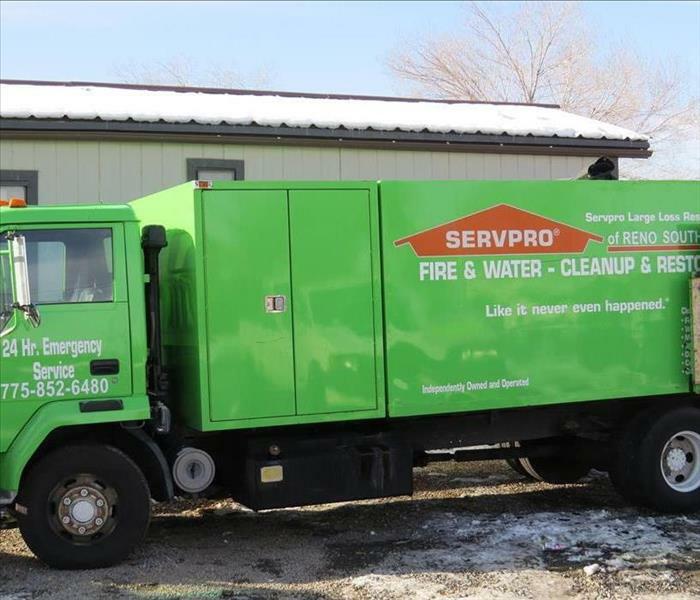 This is why SERVPRO can respond quickly. Rest assure that we will treat your home is if it was our own home. 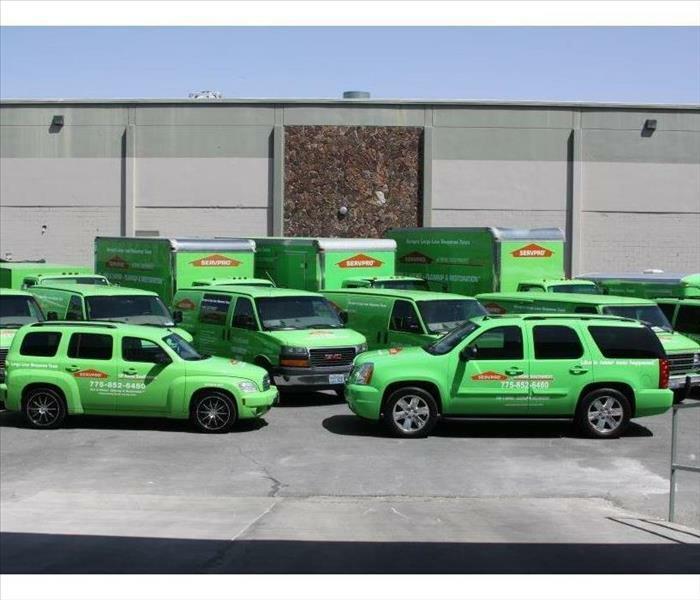 When any issues arise in your home, we will make it "Like it never even happened"
This is when the cavalry showed up. 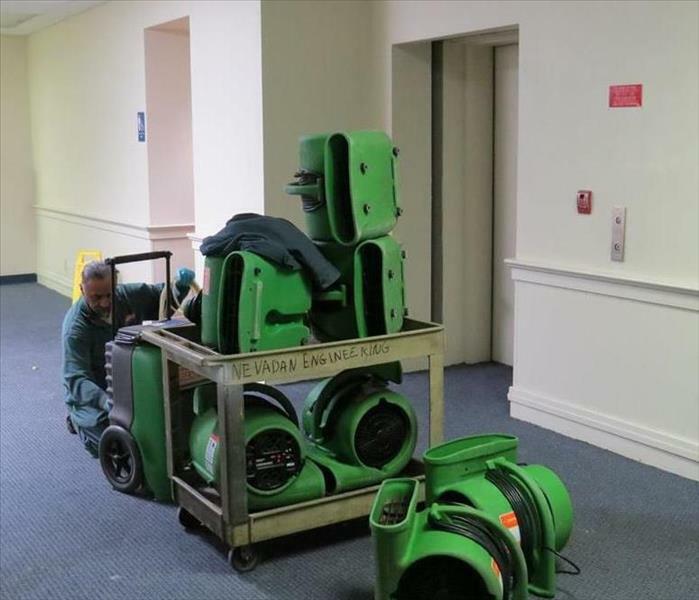 SERVPRO was here to save the day at this large casino's water loss. We prevented further damage to all of their financial records. They were excited to have us show up in full force. 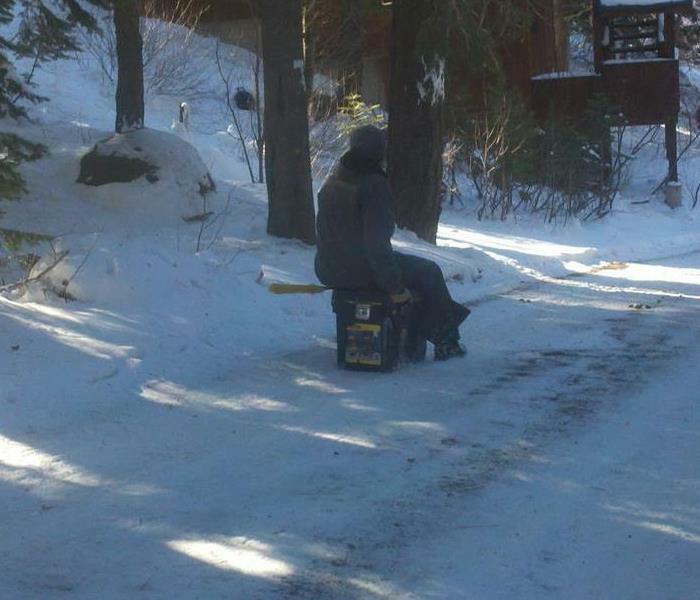 This is just on of our techs being creative and having a little fun trying to get down someone's drive way at Donner Lake. This should be a new Olympic sport. Toolbox sled. This was our last class in September. Great job and big thank you to all who helped set this up. 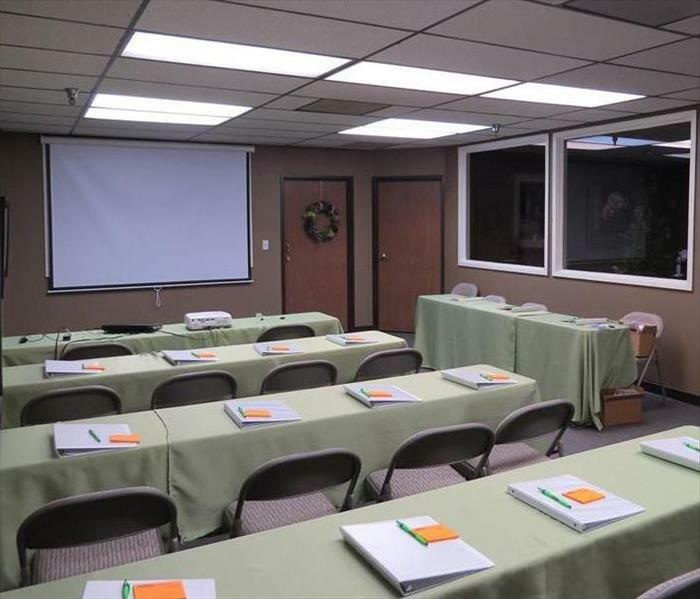 We look forward to having the insurance agents show up to the class. It will be fun. This is the attic space for a large commercial fire. 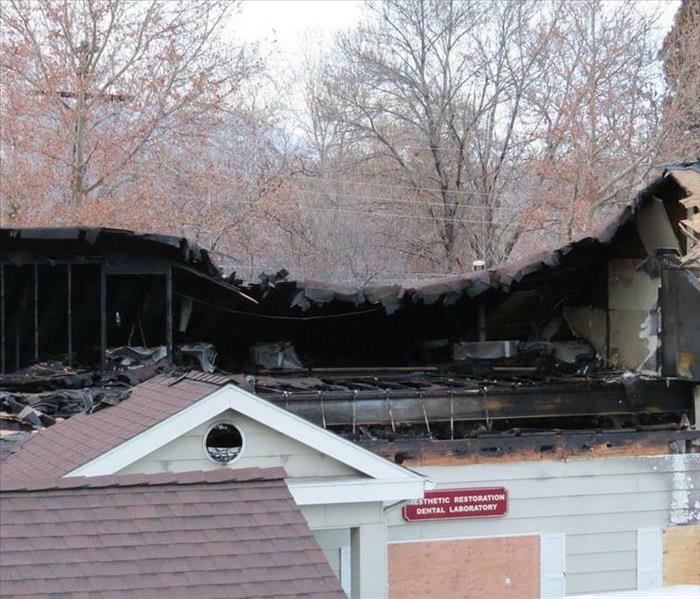 Their were 8 offices that were affected by the smoke damage. The dentists offices were all very happy that we were able to take care of the smell so that their clients did not complain. They also were thankful that we were able to get that back and running so quickly. Don't turn on the lights while trying to do this!!! Too many people try to turn on the lights not thinking there could be issues. 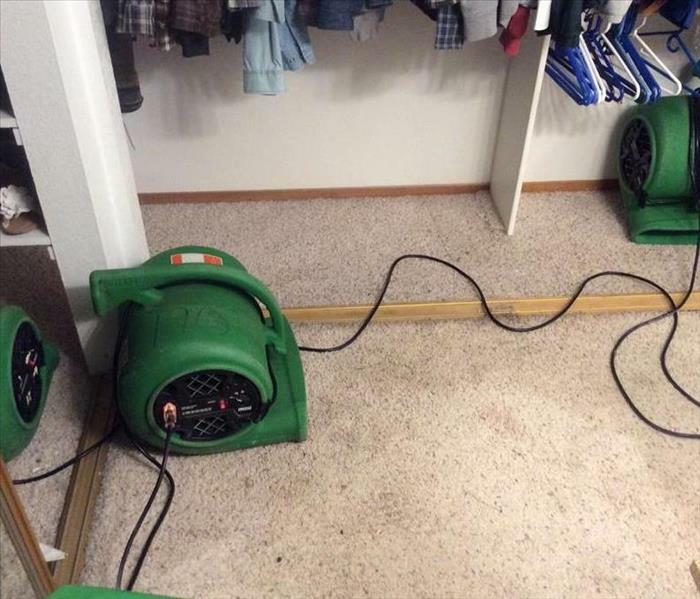 Please be careful when you have a water damage in your home. 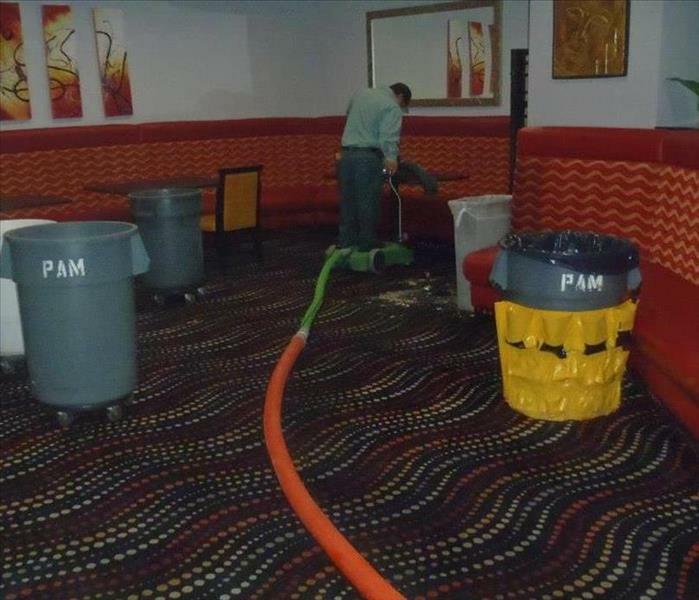 This large and well established casino in the Reno area had a large water loss in their accounting department. It affected 3 floors including their storage area for all files past and present. We were able to perform the work while they continued to do the work of keeping the casino running. This family lost their entire life in the garage. Their main source of income was in this garage. The homeowner was a mechanic. We were able to donate a good portion of our time to this family to assist in getting back on their feet.